The location is perfect just walking distance to the outlet. The apartment well organised and everything being provided water coffee tea sugar. Free parking and very quiet area. Really big thanks to the owner Very respectful and very welcoming. Service great. People great, gave us tips after asking. Very clean rooms. Place smells nice. I like everything about this apartment. It is only 10 min walk to the outlet , nice space, very clean, and super kind host... the host is very helpfull.... .. Very spacious, clean and modern. Nice owner, who let us park the car there during the day so that we could shop (about a 10 mins walk to the outlets). Also offered us umbrellas because is was drizzling a bit in the morning. Very close to the outlet stores; very clean and well stocked. Friendly staff, check-in was easy. Apartment is walking distance to outlets, the parking space is in front of the building. Apart is big, has everything we need, it is quite comfortable. Everything, you just need to tell the host your arrival time. Beautiful apartment with comfortable bed, good location, i just recomend it. 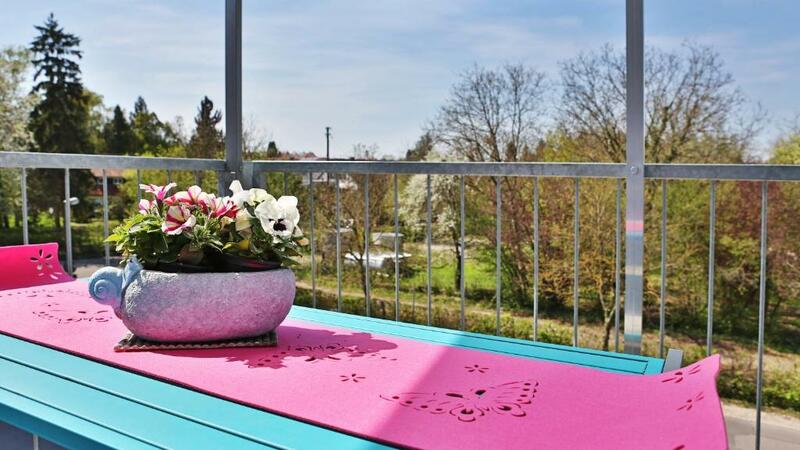 Lock in a great price for Outlet Apartments Metzingen – rated 9.4 by recent guests! 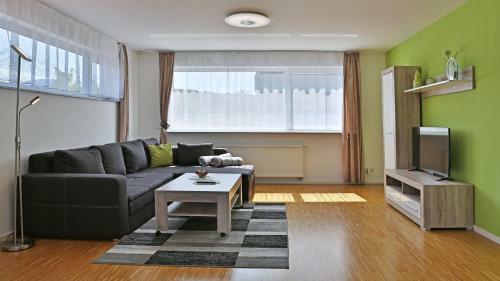 Renovated in October 2016, Outlet Apartments Metzingen offers accommodations in Metzingen, only 1,150 feet from the shopping outlets and 17 mi from Stuttgart. On-site parking is offered free of charge and free WiFi is provided. 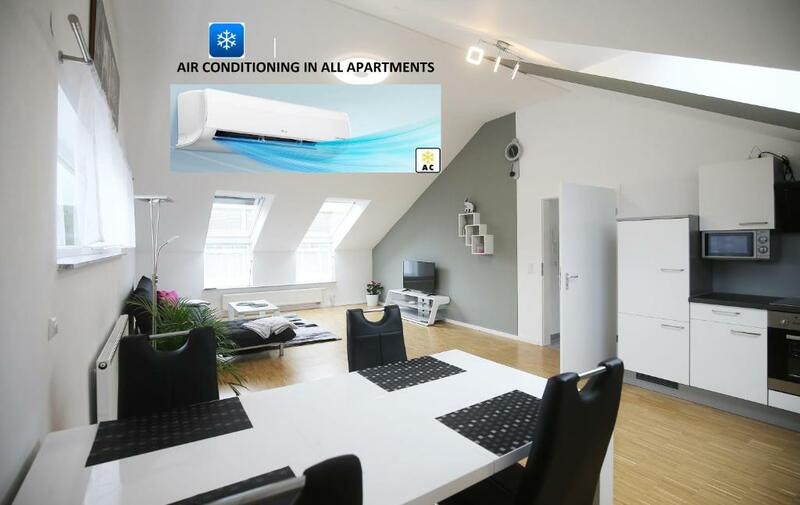 Each apartment is air conditioned and equipped with a flat-screen TV with satellite channels and a balcony with views. There is also a kitchen, fitted with a dishwasher and oven. A microwave is also featured, as well as a coffee machine and a kettle. Towels are offered. Tübingen is 11 mi from Outlet Apartments Metzingen, while Ludwigsburg is 25 mi from the property. 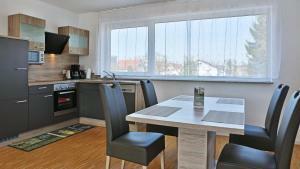 The nearest airport is Stuttgart Airport, 11 mi from Outlet Apartments Metzingen. 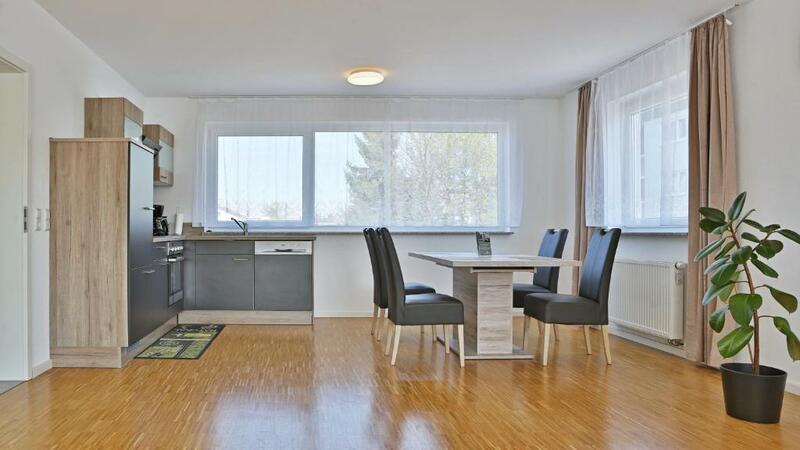 This property also has one of the top-rated locations in Metzingen! Guests are happier about it compared to other properties in the area. 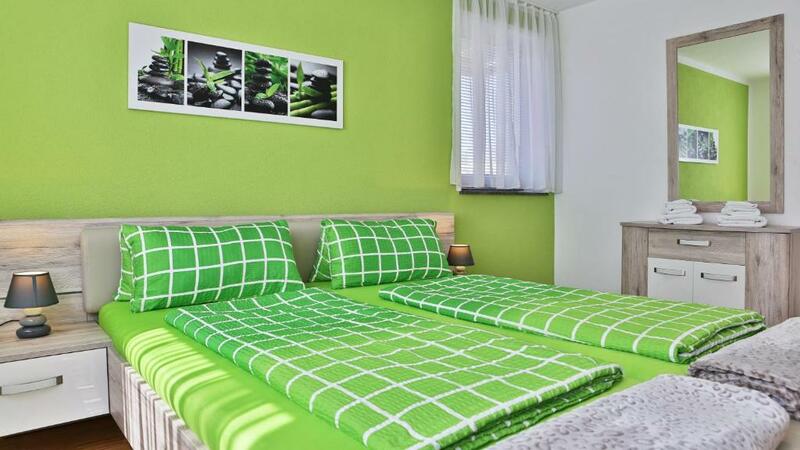 When would you like to stay at Outlet Apartments Metzingen? This apartment with balcony has air conditioning and a flat-screen TV with satellite channels. Wir sind eine 4-köpfige Familie, die gemeinsam das Projekt "Outlet-Apartments-Metzingen" betreibt. Wir sind freundlich, zuvorkommend und seriös. Falls Ihrerseits Fragen aufkommen sollten, können Sie uns diese jederzeit gerne über E-Mail (info§outlet-apartments-metzingen.de) oder telefonisch zukommen lassen. House Rules Outlet Apartments Metzingen takes special requests – add in the next step! Outlet Apartments Metzingen accepts these cards and reserves the right to temporarily hold an amount prior to arrival. For commercial use of the rooms, for example for photo shootings, please contact the property in advance as room prices may vary. Please note that guests can even park after their check-out the whole day free of charge. Please inform Outlet Apartments Metzingen of your expected arrival time in advance. You can use the Special Requests box when booking, or contact the property directly using the contact details in your confirmation. The accomodation was on the second floor with no lifts. The living room was really large with 2 sofa beds occupying 10% of the space. Fully equipped cooking facilities and very comfortable bedroom. Across the entrance is a covered balcony with sitting area. The host was always complaining about as for opening the window ( we open in to enjoy the weather ) wich made us uncomfortable as if he was observing us all the time, he was asking as to close it !! It was awkward to me and never faced it before! very nice room to stay,clean and large. Very Comfortable !